Ballongflyg Upp & Ner (Balloon Flights Up & Down) often passes by our house. They use the neighborhood for take off and landing, depending on the weather, on their tours over Stockholm City. Even if this probably is the oldest way of flying, it still amazes people. Crowds of both children and grown ups are gathering at the landing sights. Even if you don't see the balloons when they pass by, the sound of the burner will disclose them (Oops, better get some clothes on!). 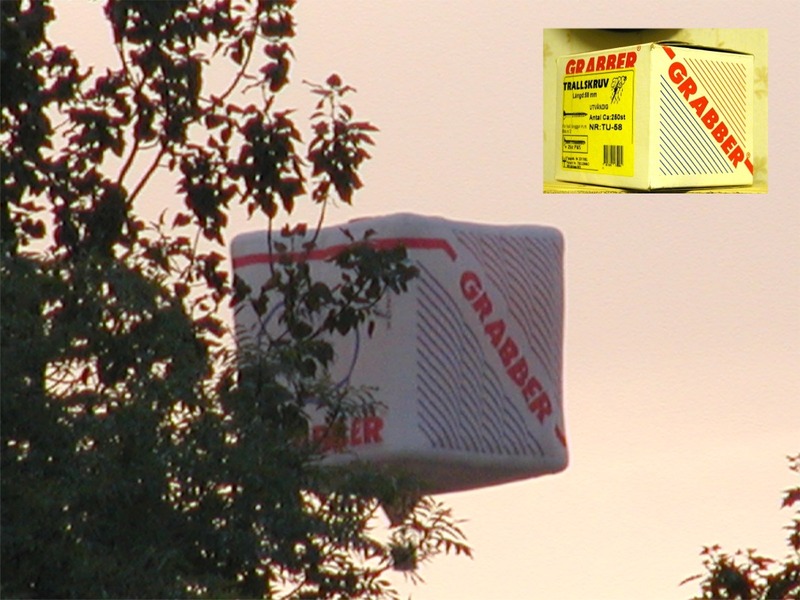 The screw box balloon from Grabber is still my favorite, even if it hasn't showed up this year. And the "Falu Råg-Rut" hard bread is always possible to obtain in our home! I guess I do have to mention that my very same Nokia has connected me to people for more than ten years now, don't know if this is good or bad advertising. LOL! The Eagle Has Landed! And three more incoming, this lovely Saturday evening in June.